We are here to help you with all your travel needs! For over 28 years we have been assisting customers plan and book their vacations and business trips to the United States. In that time we have sold over 100,000 rental vehicles, so you can be sure that we know what we are talking about. Our expert team will answer any questions you may have and make sure you have a fantastic trip! Contact Form – Send us an Email! * Please fill out these fields so we can quickly answer your questions. If your email address ends on Hotmail, Live or Outlook.com! These providers have been known to remove unseen mails as spam. To ensure proper communication between you and us, please use any other email address. 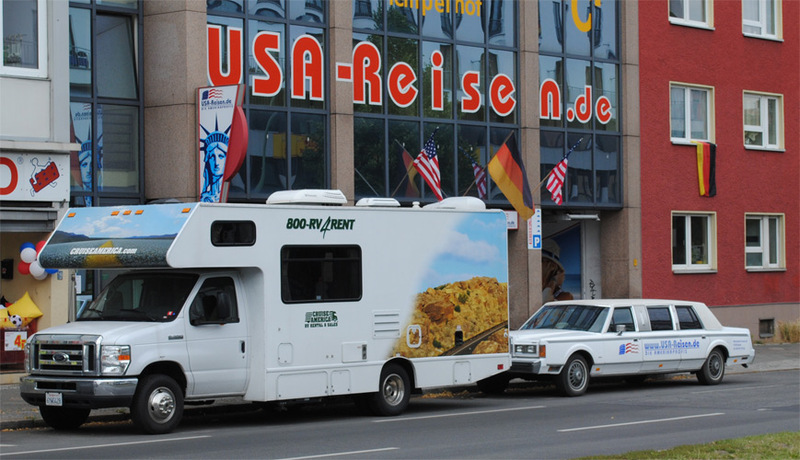 Travel Agency – Visit our office in Berlin!